Detroit-based artist Shigeto, aka, Zach Saginaw is sharing his new single & video “Barry White”. The track is taken from his upcoming album, ‘The New Monday’, due Oct 6th via Ghostly International. Shigeto is also set to play a London show on Oct 9th at Omera. The importance of the Detroit community has come through strongly in the initial looks from the album. The video for “Detroit Part II” featured intimate shots of the Motor City, and “Don’t Trip” featured Detroit emcee Silas Green. Today Saginaw collaborates with another Detroit native, Zelooperz (as he did on the recent A Piece of the Geto album as ZGTO), in a surreal video for the album track “Barry White” that’s directed by Voiid Studio. While always having a personal approach to his projects, Saginaw’s influences for his third album, The New Monday, are more about the community of Detroit than anything else. Named after a weekly DJ event called Monday is the New Monday that Saginaw does at the unassuming Motor City Wine with a group of friends, The New Monday is the result of Saginaw diving into the city’s deep record culture, where the legacy of artists of the past help Saginaw embrace his own contributions. The album is set for an October 6th release via Ghostly International. Ahead of his UK tour this November, Com Truise – aka Seth Haley – shares the music video for the song “Propagation”, taken from his new album ‘Iteration’ which is out now via Ghostly International. The video is a Black Mirror meets The Stepford Wives piece of cinema that helps to visualize the song in a uniquely modern way. It touches on our increasingly dependent relationship with technology and the consequential disconnect with humanity. “Propogation” is taken from the album ‘Iteration’, released on Ghostly International earlier this year. It’s on Spotify, Bandcamp, iTunes and the Com Truise online store. With his new album due Oct 6th via Ghostly International, Shigeto has shared new single “Don’t Trip”. It’s been four years since Zach Saginaw, aka Shigeto, returned home to Michigan from a stint in Brooklyn, NY, and since then, the multi-faceted musician has become a part of the fabric of Detroit’s music scene. While always having a personal approach to his projects, Saginaw’s influences for his third album, The New Monday, are more about the community of Detroit than anything else. And the community comes through clearly on the new track “Don’t Trip,” which features the vocals of Detroit emcee Silas Green guiding the listener through Shigeto’s assertive, spiraling production. Named after a weekly DJ event called Monday is the New Monday that Saginaw does at the unassuming Motor City Wine with a group of friends, The New Monday is the result of Saginaw diving into the city’s deep record culture, where the legacy of artists of the past help Saginaw embrace his own contributions. The album is set for an October 6th release via Ghostly International. 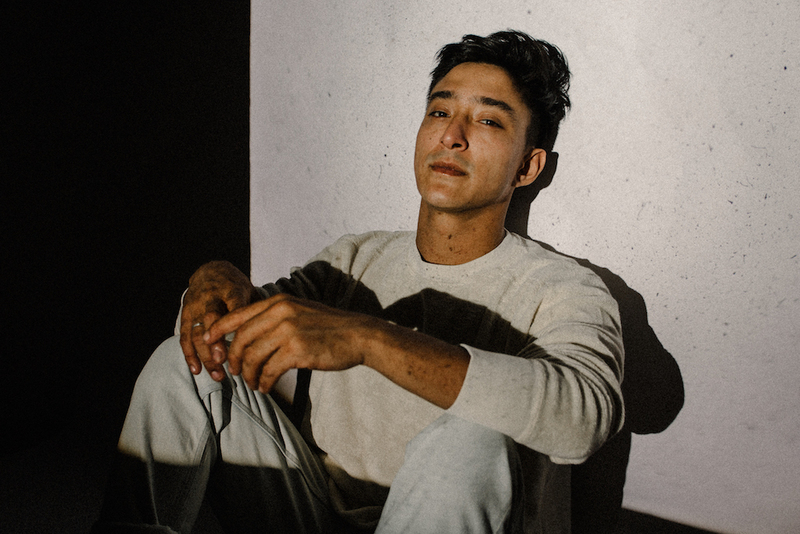 It’s been four years since Zach Saginaw, aka Shigeto, returned home to Michigan from a stint in Brooklyn, NY, and since then, the multi-faceted musician has become a part of the fabric of Detroit’s music scene. While always having a personal approach to his projects, Saginaw’s influences for his third album, The New Monday, are more about the community of Detroit than anything else. Named after a weekly DJ event called Monday is the New Monday that Saginaw does at the unassuming Motor City Wine with a group of friends, The New Monday is the result of Saginaw diving into the city’s deep record culture, where the legacy of artists of the past help Saginaw embrace his own contributions. The album is set for an October 6th release via Ghostly International. The Detroit-centric video for the searing album opener “Detroit Part II” is streaming via YouTube. The visuals for “Detroit Part II” chronicle Shigeto’s own return to Detroit and the community he’s become a staple in. The accompanying visuals follow Shigeto and his close friends as they explore the city, before culminating at MotorCity Wine, during Monday is the New Monday — the weekly event where Shigeto has taken residency. Filmed in black and white and with infrared filters, the textured images are reminiscent of techno videos of the early 90’s, famously having an influence on Detroit’s techno scene. 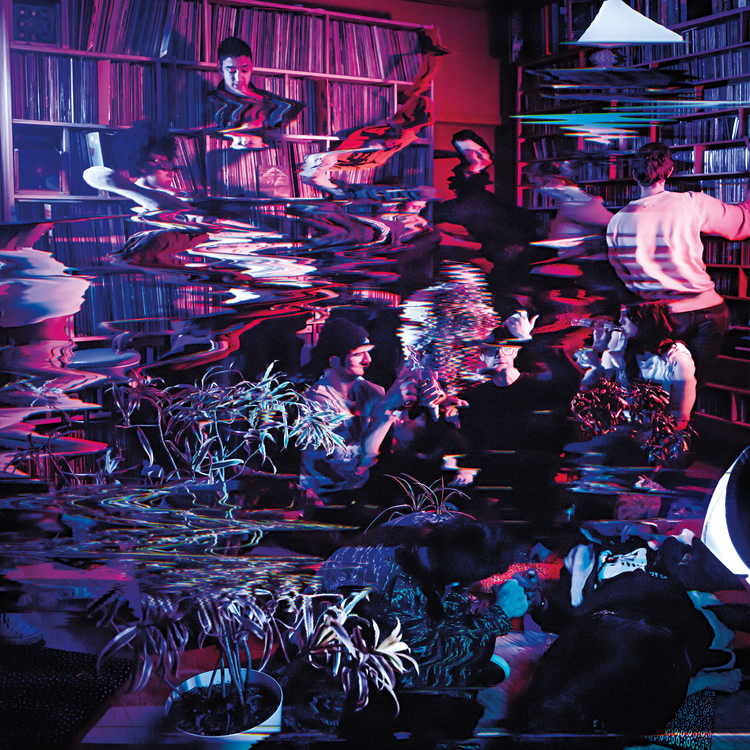 To the city and the people Shigeto has surrounded himself with since coming back to Detroit, “Detroit Part II” is an ode to the creative influences that have cultivated such a strong and collaborative community for Shigeto. Tycho has announced the release of ‘See (Feat. Beacon), the first ever song featuring vocals from the GRAMMY® Award-nominated dance/electronic project. The track is available at all digital music retailers and streaming services today. ‘See (Feat. Beacon)’ began its journey as a instrumental track on Tycho’s acclaimed 2014 album, AWAKE, but soon took on a new form with a bubbly remix from fellow Ghostly International artists Beacon, melding the original track’s serene energy with buoyant dance grooves and gossamer vocals from the New York-based duo’s own Thomas Mullarney III. 2017 saw Tycho and Mullarney team up onstage for stellar live renditions of “See” during Tycho’s remarkable Coachella sets – the band’s first ever performances to see them joined by a vocalist. “See (Feat. Beacon)” was soon re-recorded as a proper collaboration, uniting Tycho’s mesmerizing melodies and stuttering percussion with Beacon’s trademark vocal approach, resulting in an astonishing and altogether original new sound from both acclaimed outfits. 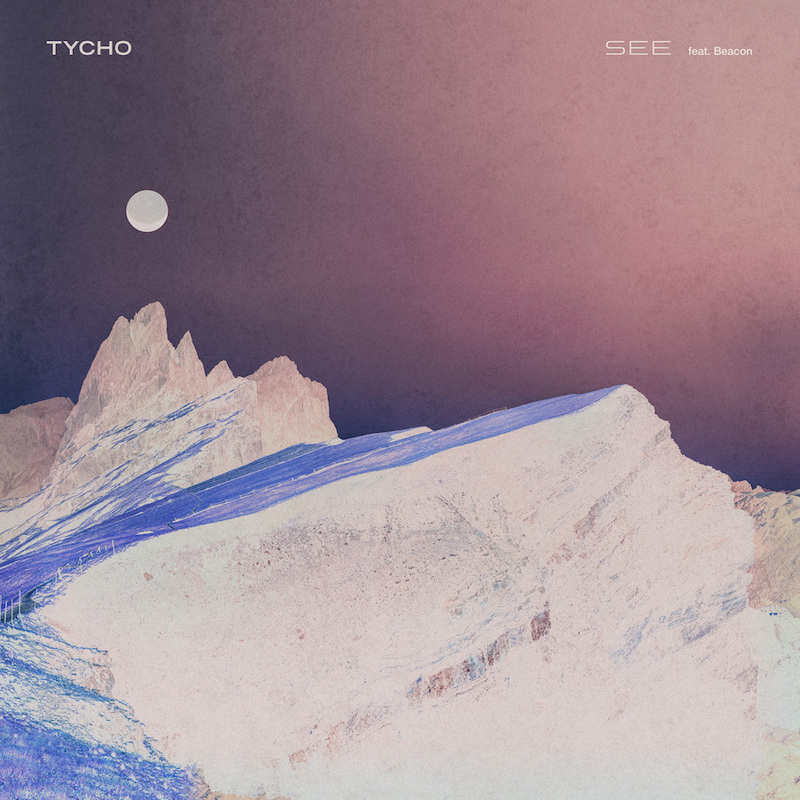 Tycho will celebrate “See (Feat. Beacon)” – as well as 2016’s chart-topping album, EPOCH – with a world tour featuring major festival appearances in Europe at Primavera Sound, Way Out West, Sziget Festival, Lowlands and Pukkelpop. In the United States Tycho will tour the West Coast with Todd Terje & The Olsens and tour the East Coast with Phantogram. For complete details and ticket availability, please see tychomusic.com/#tour. Last month Com Truise – aka Seth Haley – announced Iteration, his first new album in 6 years, which will be released on June 16th via Ghostly International. Today, along with a string of new UK & European live date announcements, he follows previously shared single “Memory,” a pop-inflected, futuristic synth-driven cut, with his second single “Isostasy.” As its name implies, the track has a spaciousness to it, as it seemingly floats through the sonic world Com Truise has built over the years. “Repetition is a form of change,” reads one of Brian Eno’s Oblique Strategies. Seth Haley knows the concept well, and his style of technicolour synth-wave takes the mantra as a challenge–how much emotion can one man convey through his machines? Six years ago, Galactic Melt introduced space traveler Com Truise and his journey through far-flung galaxies, before mini-epics Wave 1 and Silicon Tare expanded the story in further cosmic detail. And now Iteration concludes this particular sprawling saga. True to its name, the album is built on Com Truise hallmarks: neon-streaked melodies, big drums, robotic grooves, bleary nostalgia. But Iteration is also the most elegant and streamlined that Haley’s music has ever sounded. At the album’s heart is an elaborate narrative, one full of longing, hope, anxiety, and triumph. Iteration illustrates the last moments Com Truise spends on the perilous planet Wave 1, before he and his alien love escape its clutches to live in peace. Album opener “…Of Your Fake Dimension” launches the interstellar drama with its anthemic swells and widescreen sound design, before lovesick songs like “Dryswch” and “Propagation” outline scenes wrought with cybernetic pathos. In “Isostasy”, the synaesthetic quality of Haley’s compositions is presented in ultra-high-definition. Later, the frantic rhythms of “Syrthio” conjure images of panicked flight, as Haley’s gorgeous synth melodies gild the action in quiet heartbreak. Then comes the resounding “When Will You Find The Limit…”, when Iteration’s pain and sadness finds liberation in the vast unknown. The closing title track ends it all in a gush of majestic revelry. So goes the winding story that Iteration tells, and yet there’s more behind its telling. “I try hard not to write from my personal life, but it’s inevitably going to seep into the music,” Haley explains. “It’s basically like I’m scoring this film in my head, but that film I’m scoring is also somehow my life.” There are glimpses of the difficult time the East Coast native spent adjusting to a new life in Los Angeles, fighting homesickness and burnout while also touring the world. It was a time full of uncertainty, transition, and self-realization. After a year and a half of living in California, Haley finally recaptured his creativity by finding new excitement in his work. “I put more air, more breathing room in the music—that was the big change,” he says. And once that clicked, the album quickly materialized. Such a clear refinement of the Com Truise sound took time to develop, but Iteration is well worth the patience and perseverance it cost. Some of Haley’s smartest, catchiest work is here, from the weightless pop heights of “Memory” to “Ternary”‘s lush synth-funk. A song like “Vacuume” somehow manages to balance massive bass swells and punishing drums with stuttering angelic gasps, and “Usurper” gracefully pairs subtle poignant melodies with uplifting dance beats. “For me, it feels like change,” Haley says of his second album, and yes, this is Com Truise like never before. By embracing the music’s inherent nature and peerless qualities, Iteration finds new avenues of expression in its vivid, familiar surroundings. Thomas from Beacon performs “See” on stage with Tycho. Coachella Weekend 2, April 23, 2017. Beacon are back. In the spirit of a springtime tour as direct support with Tycho, and in the afterglow of an appearance with at Coachella’s second weekend, the New York duo have shared a new single. “Marion” is the first piece of music this year from Thomas Mullarney III and Jacob Gossett, who released their second LP, Escapements, in 2016 to great success. Ahead of their upcoming UK tour dates this June with shows in Glasgow, Manchester & Bristol, Tycho have shared a new video for their track ‘Horizon’, taken from their Grammy-nominated album ‘EPOCH’. The video, taken from the groups mesmerizing live show, features original animations from Neil Krug and cinematography from Charles Bergquist. ‘Horizon’ is the second track from the Grammy Award nominated album ‘EPOCH’ which is available now on all platforms. Tycho has also announced additional shows for its 2017 World Tour including playing four rare co-headlining shows on the West Coast with Todd Terje & The Olsens and special guest Jaga Jazzist. Todd Terje is one of Scott Hansen’s main influences, appearing frequently in Scott’s DJ sets. This is the first US tour ever for Todd Terje & The Olsens, Terje’s live band. The dates add to an already expansive U.S. headlining tour which includes festival performances at Coachella, Electric Forest and Forecastle as well as two nights at Brooklyn, NY’s new venue Brooklyn Steel. Tycho will then return to Europe in June for performances at Primavera Sound in Barcelona, Spain and Porto, Portugal. Tickets for the North American tour are on sale now. Please see tychomusic.com/#tour for complete details and remaining ticket availability. Full list of tour dates is below. EPOCH made an extraordinary chart debut following its surprise release last September, enteringBillboard’s “Top Dance/Electronic Albums” at #1 – Tycho’s highest chart placement to date. EPOCHalso earned a place in Red Bull Music’s “25 Best Albums of 2016″ and Dancing Astronaut’s”Top 10 Albums of 2016.” EPOCH is available now digitally at all DSPs and streaming services and physical CD and vinyl are available via ISO50 and The Ghostly Store.